It's been just over a year since we left for that cross country ride and just as long since a blog update. Six little words How to start writing? Move fingers. Motivated me this morning. There have been a few training rides with SIR, a number of coffee or breakfast rides, and many intended rides. As a traveling apparel sales representative this has been one of my slowest years in quite some time. Ladies go buy some more stuff. Actually don't, the crazy part is that I tend to agree with Carlin that it's all just stuff. I like the extra time and yet I've not managed to keep up this blog but I'm back in the mood and will try to report on rides and whatever. I missed the 200km but did finish the 300km. The 300km was on the 4th of April and for the little training I had had I was pleased with my time. 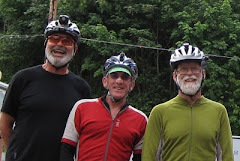 The ride took us up Whidbey Island, along Chuckanut to Bellingham and then back to Mukilteo on 9. Great weather, beautiful route. It did take over a week before I could do my morning swim workout with any strength however. Long recovery time - C,est la vie. Two weeks later I led a 4 person team on the Sir Fleche Northwest. Chris Heg, Eamon Stanley , Hugh Kimball and I made up the team. I was the only one that had done this type of ride before. My record for this event at the start was 4 completions out of 7 attempts. The event is a 24 hour team ride of at least 360 Km and stops of more than two hours are not permitted. An exercise in sleep deprivation. 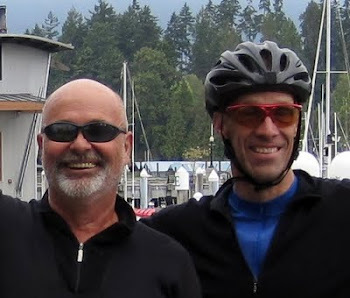 Our selected route was just under 380 km and headed south out of Olympia to Chehalis then across hwy 6 to Raymond and then along the coast to Westport. Then over to Aberdeen, up hwy 101 and then back over to the coast and back to Aberdeen. From there the road took us East to McCleary and back toward Olympia. 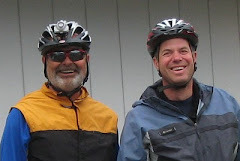 On May 9 I rode the covered bridges 400km with the Oregon Randonneurs. Some nice photos of the ride can be found at this site. I'm not sure why I didn't bring my camera. This sure was a ride with many photo ops. The ride took us from Newberg just southwest of Portland down the foothills of the cascades to Eugene and back basically along the Willamette river. Lots of river crossings and many covered bridges. Rolling hills, scenic views, small farms, covered bridges and beautiful weather. The SIR 600km is this Saturday. I signed up for the Shoreline garden tour as a participating garden so I'm missing the ride. Oh well, so many passions, and so little time. There is a longer ride planned for the end of the month. Seattle to Sunriver to watch Corliss play some regional level tennis. Then off to Yellowstone and Glacier.